A New Look for Firefox! Mozilla has released a new version of Firefox, version 29. 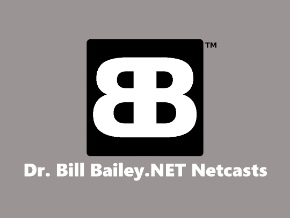 It was announced today, and has new customization options, and a new cleaner, more modern look! 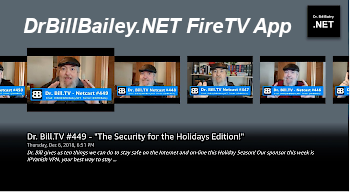 It also has an updated sync feature that allows you to add multiple devices on to your Firefox account on Windows, Mac, Linux, and Android. Upgrades include the ability to customize a “swipe-able” history, top sites, bookmarks and the reading list home screen pages and you can also choose one to make your mobile default page. You would need to go to the Mozilla website and download the new Firefox version which comes is a stub file, and then downloads the rest of the files to install, and or upgrade your existing version. Check it out! I tend to use several different browsers anyway, with Google Chrome as my default, and Mozilla Firefox as my backup, because I like the way it does RSS feeds. In that sense, I tend to use Mozilla Firefox almost entirely as an RSS reader. I know that’s a little strange, but then many people have pointed out that I’m a little strange! It’s official, gang! The cast for Star Wars VII has been announced! StarWars.com – April 29th, Pinewood Studios, UK – “The Star Wars team is thrilled to announce the cast of Star Wars: Episode VII. The Banana Pi – Want a Bite? I do! Faster, higher memory, and a neat little toy! I NEED one! ZDNet – By Steven J. Vaughan-Nichols – “The maker community loves the Raspberry Pi Single Board Computer (SBC). But, the $35 Raspberry Pi, which was introduced in 2012, with its 700MHz ARM11 processor and 512MBs of RAM, is looking a little dowdy these days. So, Lemaker.org has introduced the faster Banana Pi. Before launching into the technical details, you should know that the Banana Pi is not, in way, shape, or form, an official successor to the Raspberry Pi. It’s a Raspberry Pi clone from a Chinese educational group. That said, with its 24-pin header layout, the Banana Pi is designed to be mechanically and electrically compatible with Raspberry Pi add-on modules. This new credit-card sized SBC costs just over $74 after shipping. That’s a good deal more than the $35 Raspberry Pi Model B it takes after. 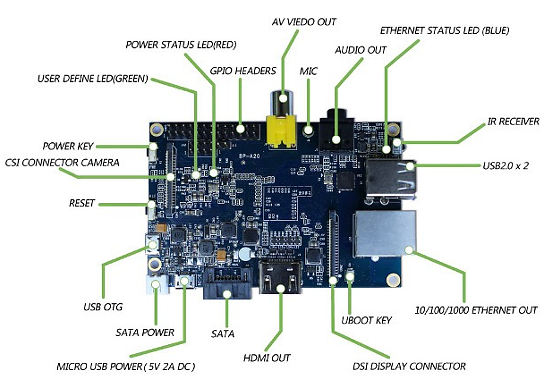 On the other hand, Banana Pi comes with a dual-core, Cortex-A7-based Allwinner A20 system-on-chip running at 1GHz,. That’s much faster than the Raspberry Pi’s 700MHz, ARM11-based Broadcom BCM2835 processor. It also includes a more powerful Mali-400 GPU. The Banana Pi also comes with 1GB of RAM and built-in Ethernet that can handle up to 1Gbps (Gigabit per second). That’s ten-times as fast as the Raspberry Pi. This brand-new SBC also includes a SATA port and a micro-USB port. It’s also, at 92 x 60mm, a trifle larger than the 85 x 56mm Raspberry Pi. In theory, the Banana Pi should run all of the software that Raspberry Pi can run In practice, Lemaker only states that their SBC can run Android 4.4, Ubuntu, Debian, Raspberry Pi Image, and the Cubieboard Image. On top of the operating system, the only application the group claims that it will run is Scratch, an educational program from MIT. Save Yourselves and Your Friends! I’ve told everyone I have known for years, and years, that Microsoft Internet Explorer is not safe to use. It has ALWAYS been unsafe. Google Chrome, Mozilla Firefox, or Opera are FAR safer. But now, even the US government, and even the UK government, are telling us all to forgo using Internet Explorer! It was announced today that the Computer Emergency Readiness Team (CERT) is encouraging us to STOP using IE! The flaw that was found by security firm FireEye is being used with a known Flash-based exploit technique to attack financial and defense organizations in the US via Internet Explorer 9, 10, and 11. 55% of the Internet still uses Internet Explorer and are now at risk. Don’t be a follower of the Evil Empire. Be a leader! Tell your friends to save themselves from Microsoft’s unsafe browser! I strongly encourage you to use Google Chrome. It is free, and it is more secure than any other browser. Let’s be safe out there! “One of the best ways to take full advantage of your solid state drive (SSD) is to use the performance-maintaining TRIM command. Technology blog GHacks shows us how to make sure TRIM is enabled in Windows 7. This week’s GSotW is “TrimCheck” a tool to test whether TRIM is enabled when you have a solid state drive. “This program provides an easy way to test whether TRIM works on your SSD. It uses a similar method to the one described here, but uses sector calculations to avoid searching the entire drive for the sought pattern. It also pads the sought data with 32MB blocks of dummy data, to give some room to processes which may otherwise overwrite the tested deleted disk area. Lose Rights by “Liking” a Company? A disturbing trend showed up this week in the cyber world concerning companies and the fine print that they’re putting into their privacy policies on their websites. They’re basically making it possible to deny a customer’s right to sue the company based on the users “consent” which they unknowingly give when they “like” a brand on Facebook. General Mills, which makes cereals like Cheerios and Chex, have quietly added language to their website to alert customers that they give up their right to sue the company if they download coupons or “like” online communities on Facebook. The idea is that any favorable interaction with the company or its products that confers a quote “benefit” to the consumer is treated as an acceptance of the company’s terms, which includes a waiver of any legal rights against the company. The bottom line to you as a consumer is that you should carefully read any explanations on company websites if you’re concerned about losing these kinds of rights. A New Long Term Support (LTS) Version of Ubuntu is Out! Ubuntu 14.04 will be the first version of Ubuntu to provide the operating system for commercially available tablets. “Trusty Tahr,” or version 14.04 will be a long-term support edition for desktops and servers. Canonical CEO Jane Silber said Ubuntu 14.04 for desktops “would be a good option for businesses considering a switch from Microsoft, and specifically those replacing XP or Windows 7 as they come to end-of-life.” It would be nice to think that businesses would seriously consider such a switch, but I think they would be fairly forward thinking to consider it. Sadly, there are many businesses willing to take a chance of having an open source operating system upon which to base their business. Those that do decide to make the switch, more power to them! Ubuntu is based on Debian Linux but also forms the basis of other operating systems including the popular Linux Mint desktop. 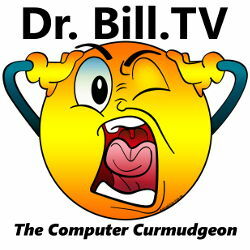 A Viewer Takes the Doctor’s Advice! 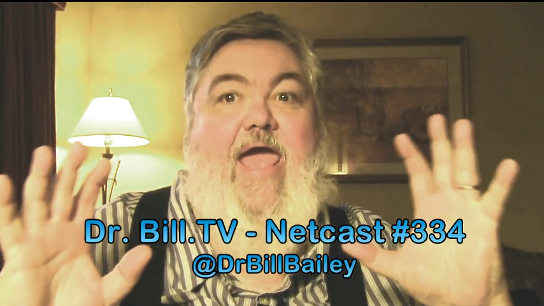 This is a message from a viewer of the Netcast, that also goes to my church… check it out!